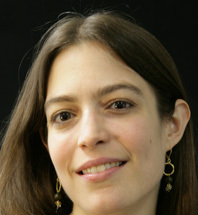 Sandra Beasley is the author of I Was the Jukebox, winner of the Barnard Women Poets Prize, and Theories of Falling, winner of the New Issues Poetry Prize, as well as the memoir Don’t Kill the Birthday Girl: Tales from an Allergic Life. She received a 2015 National Endowment for the Arts fellowship. She serves on the faculty with the low-residency MFA program at the University of Tampa, and lives in Washington, DC.